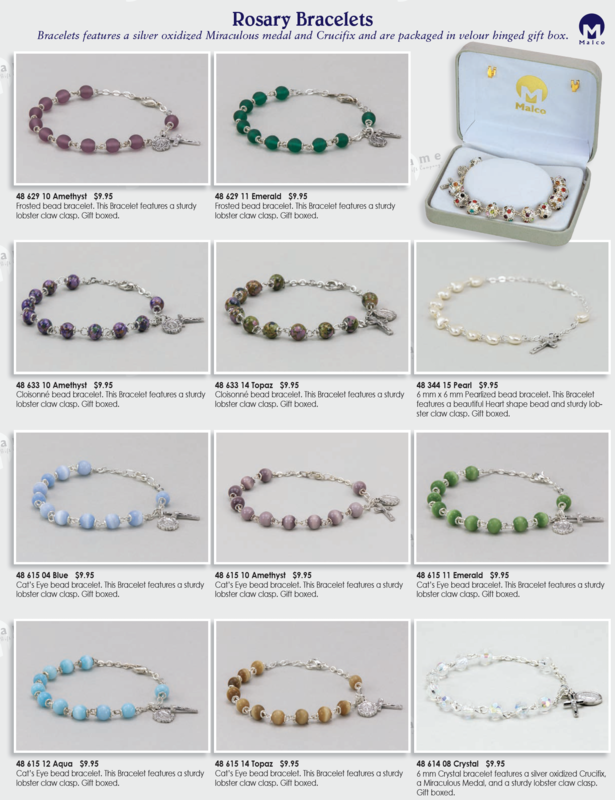 Bracelets features a silver oxidized Miraculous medal and Crucifix and are packaged in velour hinged gift box. lobster claw clasp. Gift boxed. a Miraculous Medal, and a sturdy lobster claw clasp.